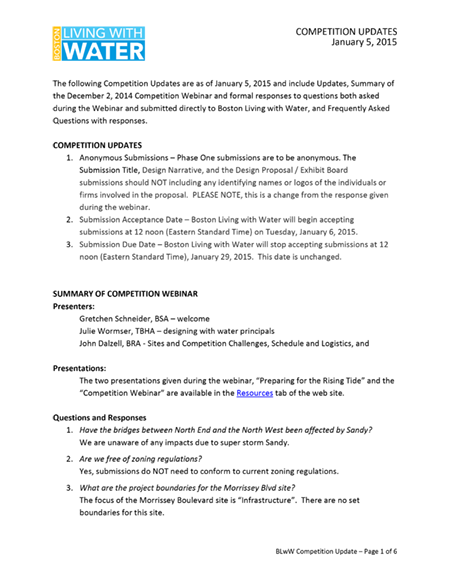 Include Updates, Summary of the December 2, 2014 Competition Webinar, and formal responses to questions (asked during the Webinar and submitted directly to Boston Living with Water), and Frequently Asked Questions with responses. 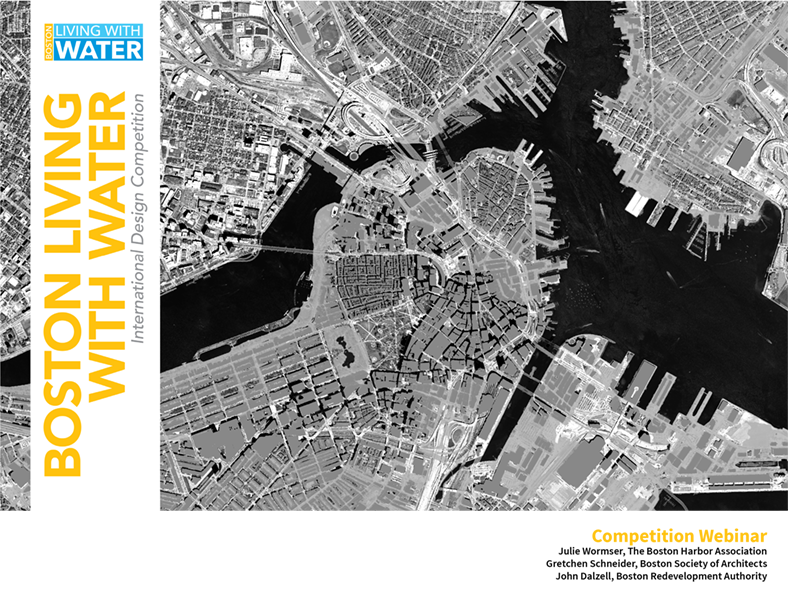 Overview of the Boston Living with Water Competition shown during the December 2, 2014 Competition Webinar. 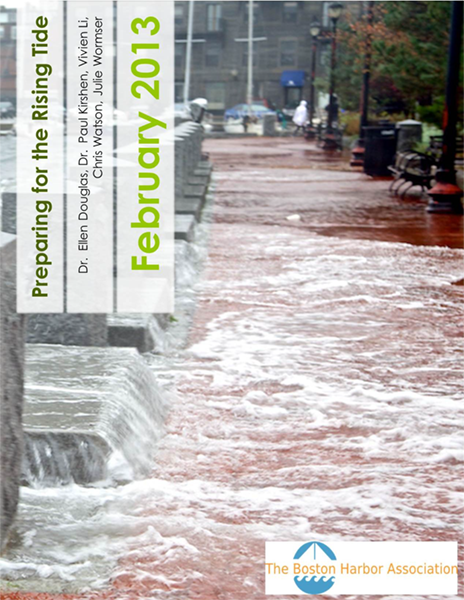 Presentation to accompany the release of the February 2013 Report. 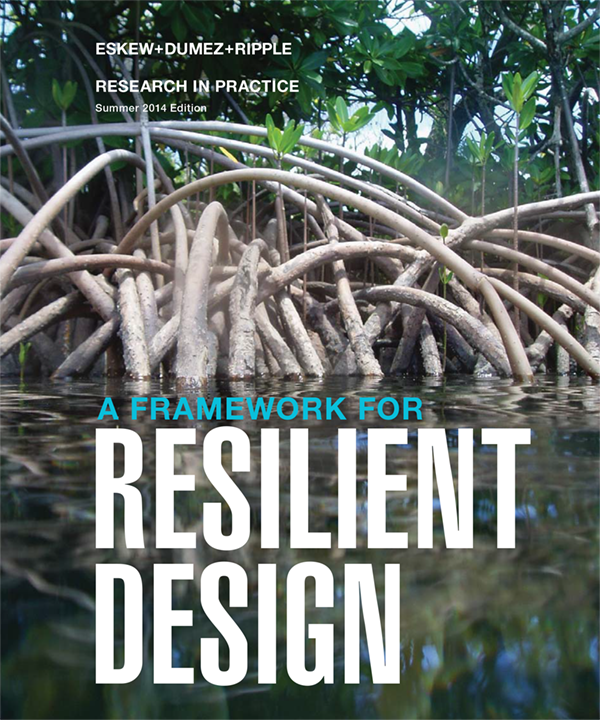 In this report, Eskew+Dumez+Ripple has developed case studies and a framework for understanding resiliency in the built environment, with a special focus on threats faced by coastal communities. 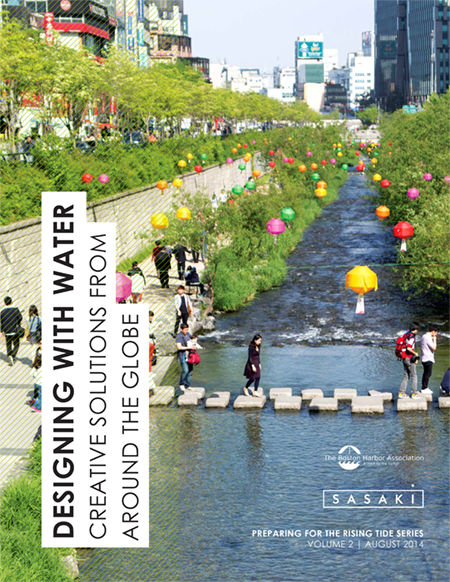 This report provides 12 case studies describing how cities around the world are using Designing with Water strategies to decrease potential flood damage without losing the vibrancy and livability of their communities. 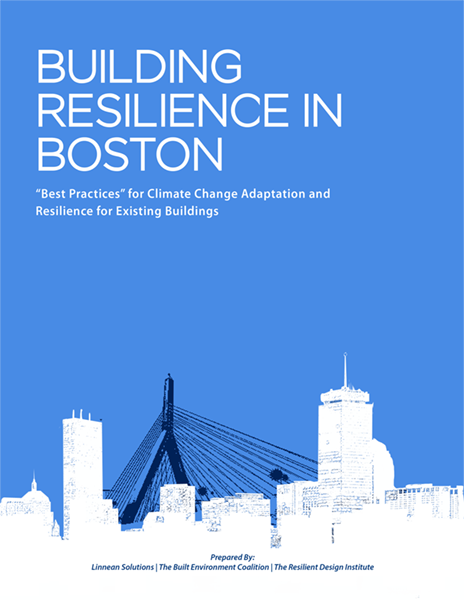 This report includes a review of national and international research, publications, planning documents, and related materials to establish the state-of-knowledge and identify “best practices” related to the improvement of existing buildings to better withstand climate change impacts. 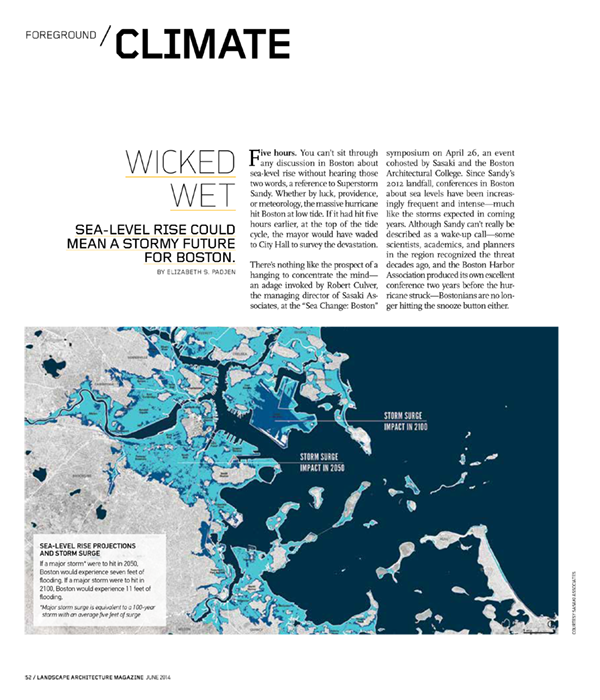 This report provides vulnerability analyses for Boston Harbor and time-phased preparedness plans for Boston’s Long and Central Wharves and UMass Boston campus to increase their resilience to coastal flooding over time. 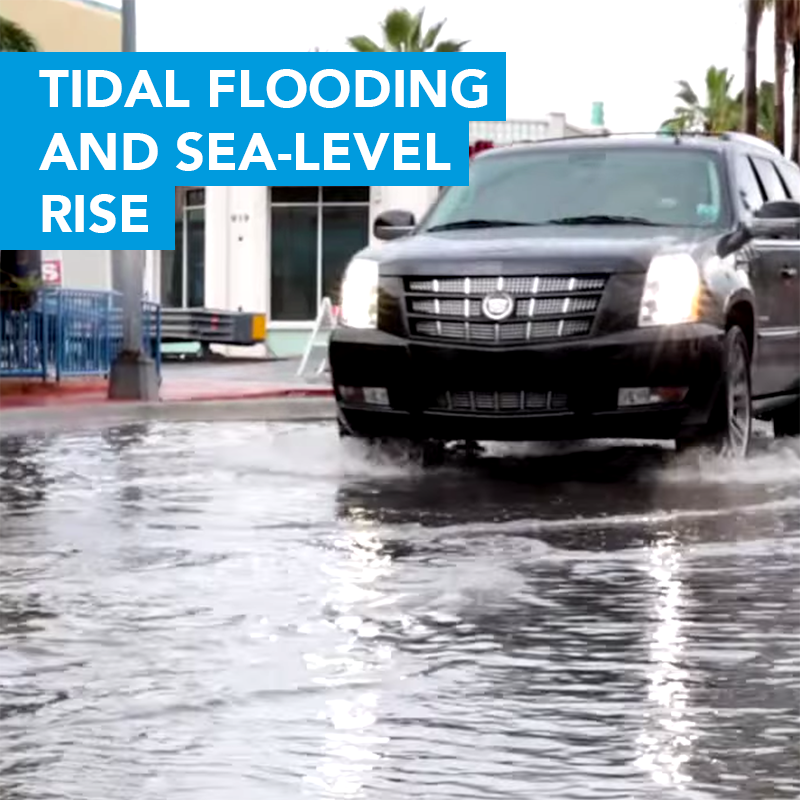 Our library of digital reports, presentations, and videos; great examples of Climate Action. 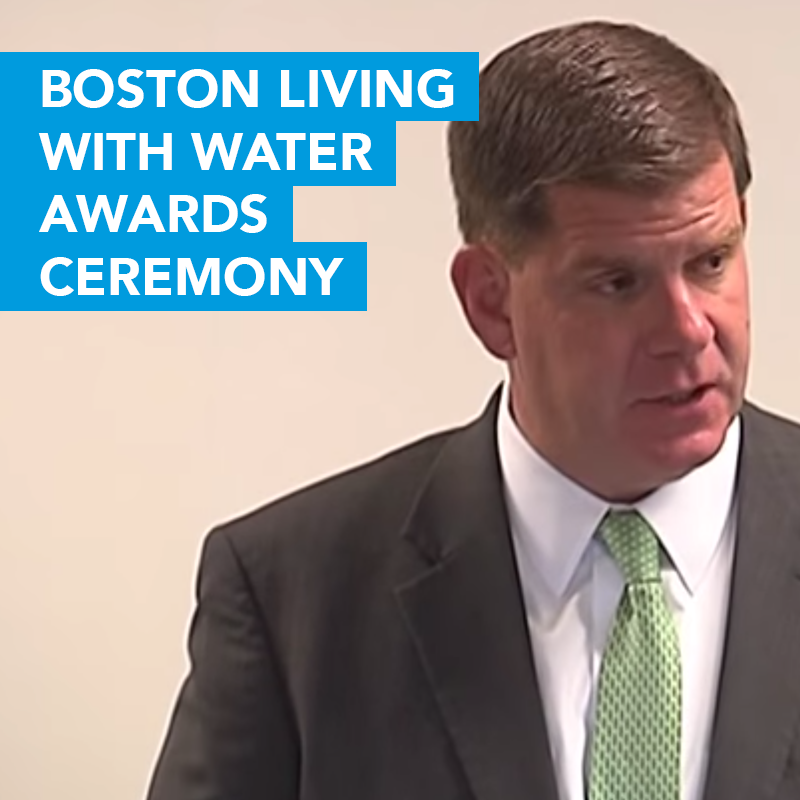 City of Boston – The official website of the City of Boston. Although City Government played a major role in Boston’s development, the real spirit lies in the diverse and vibrant neighborhoods of the City. Today, the City is governed by the Mayor and the City Council with the assistance of various departments, agencies and commissions. 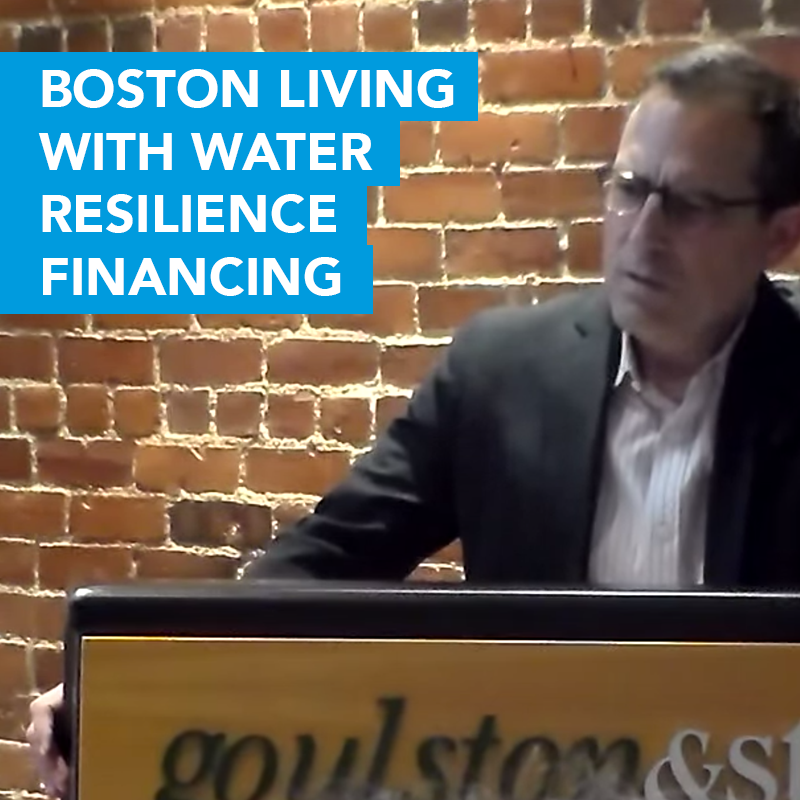 Boston Redevelopment Authority (BRA) – The urban planning and economic development agency for the City of Boston. The BRA plays a far reaching role in shaping the city. We are a self sustaining agency and our love for Boston inspires us to make this City an even better place to live, work, and play. 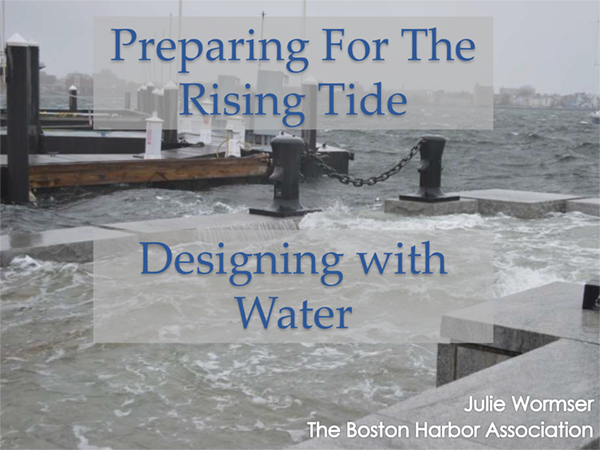 The Boston Harbor Association (TBHA) – TBHA educates, advocates and celebrates to achieve our vision of a Boston Harbor that connects coastal communities from Winthrop to Hull. The waterfront is both a lively destination for cultural and recreational offerings and a robust center of maritime economic activities. 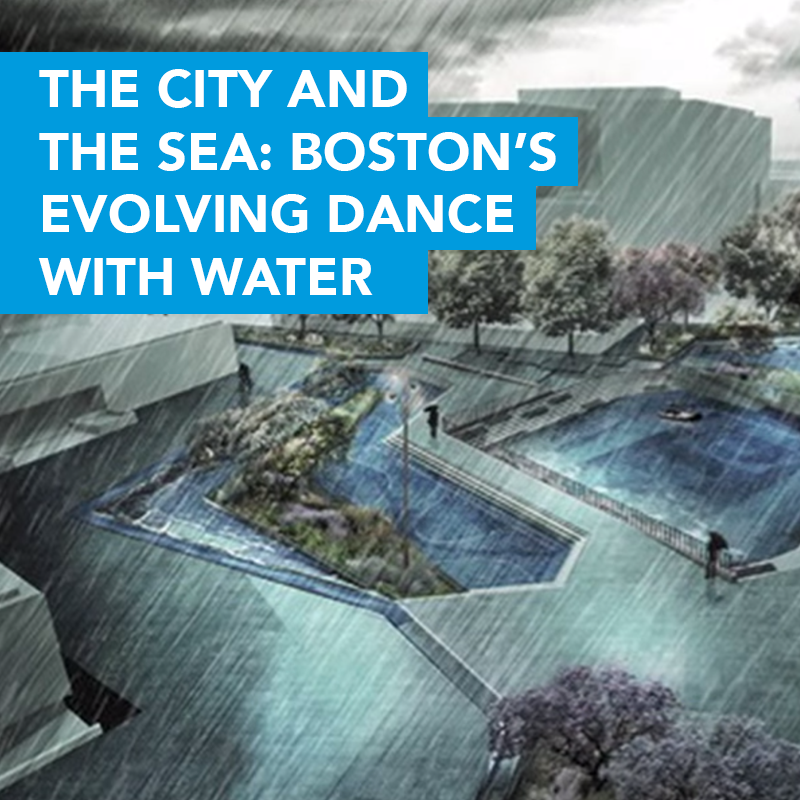 Boston Harbor’s waterfront provides a gathering place and welcoming front yard for everyone.Our people and places are prepared for a rising sea, living with it where possible, protecting or retreating where necessary. 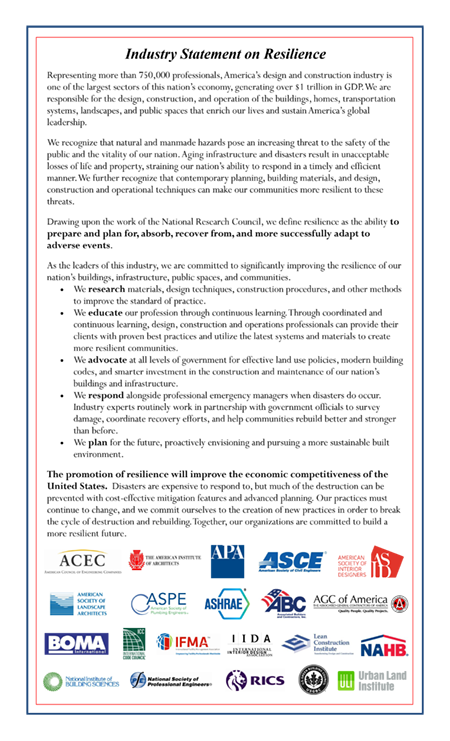 Boston Society of Architects (BSA) – The BSA is committed to professional development for our members, advocacy on behalf of great design, and sharing an appreciation for the built environment with the public at large.